Projects — Elan Construction Inc. Here's just a small sampling of the projects in action from over the years. This old house was torn down to bare bones and changed from a congested maze full of wood panel walls to an casually modern open floor plan. With indirect and direct lighting sources and heated floors through out each space feels welcoming and cozy without feeling aged. This 2004 purchase was remodeled as an investment opportunity but the owners ended up moving in in 2005 and then adding a traditional look with warm gold tones throughout. Over the years we tore down walls opening up the floor space for better entertaining and the color scheme has changed again since then to add as much light as possible for a refreshing and classically modern feel. This wonderful two wing home was closed off and full of awkward corners. 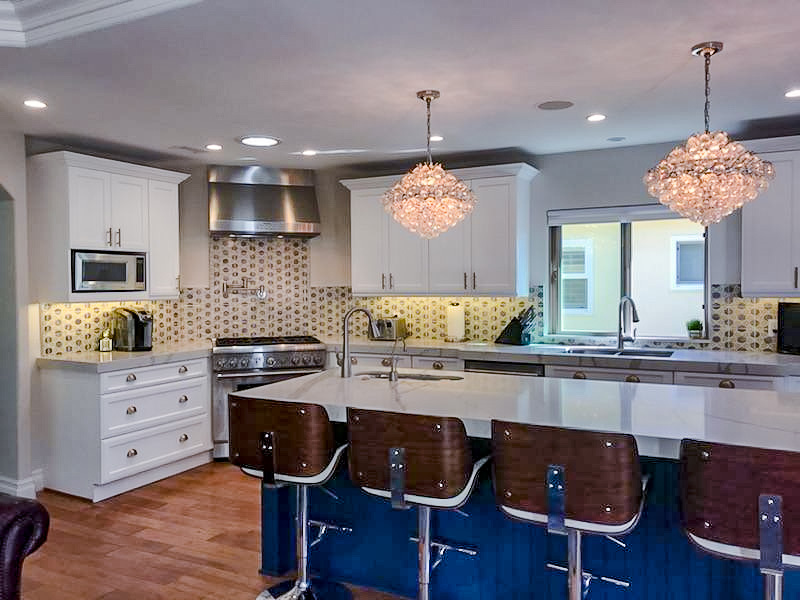 With careful planning and a lot of holes we were able to open up the entire middle of the house to be a great entertaining space, give it a functional kitchen and add ceiling height and large amounts of light to each room. the master bedroom is at the opposite side of the house so guests get to enjoy the other side of the house and everyone gets to enjoy a view of the pool.